DESCRIPTION Welcome to The Princeton Grand! LUXURY LIVING beside the banks of the Bow. This one owner home has been meticulously maintained. Features include custom built - ins - granite counter tops, stainless steel appliances. elevator access directly into the suite, 2 well located parking stalls and storage locker. Amenities in the building include 24 hour concierge, temperature controlled wine lockers, two guest suites, private gym. This wonderful Eau Claire location is steps to the river pathways, easy walk to the downtown core, close to shops and restaurants. Move right in and enjoy! Thank you for viewing. 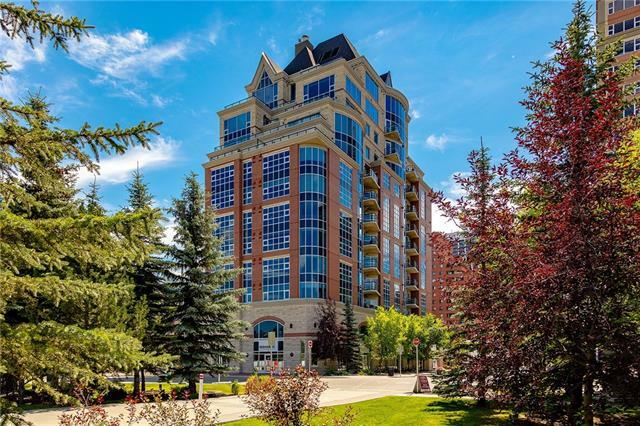 #901 600 Princeton WY Sw, Calgary, Alberta, MLS® C4209854 T2P 5N4 is a Apartment, 2 bedrooms, 2 bathrooms, approximately 1,720 Sq. Ft. Listing price 1,147,000.00. This property was built in 2007.